There are many time saving apps that work with QuickBooks Online which can improve your productivity. 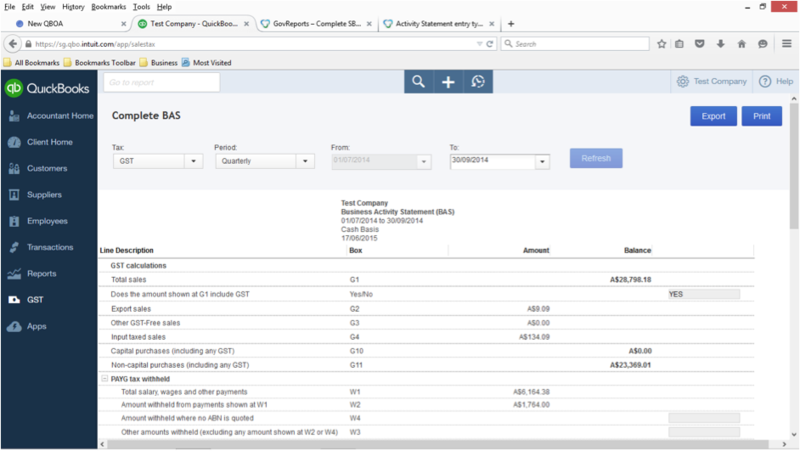 Today let’s look at the integration between QuickBooks Online and GovReports. All in all, taking a completed BAS from QuickBooks Online into GovReports should take no more than 5 minutes of your time. Not having to manually complete the BAS return can improve accuracy through the elimination of typographical errors such as inverting numbers or inputting the information into the incorrect client return. So why as a bookkeeper and BAS agent do I find the interface between GovReports and QuickBooks Online useful? Before you begin you will need to make sure that you have completed the BAS return in QBO. To import these figures into GovReports – it’s really as simple as logging into GovReports and going through a couple of steps. Select a client from the client list and then select “forms”. That’s a lot easier than having to log into multiple sites across multiple different State Revenue offices (for payroll tax) or ASIC, or even moving between different clients within the BAS Portal. 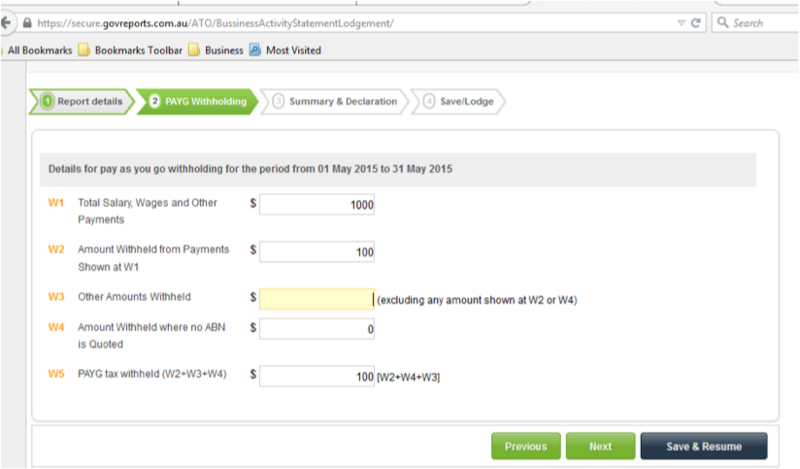 Retrieving the form for the period that you wish to complete – you can select from ATO, OSR or ASIC forms where you have the authority to do so. Once the appropriate return appears on your screen you’ll be prompted to select how you would like to enter the relevant data. Indicating that you wish to enter the data via Intuit QuickBooks Online is as easy as selecting “Intuit QuickBooks Online” and pressing the “Connect to QuickBooks” button. You’ll be prompted to select which company you are connecting with from your list of QuickBooks Online clients. Simply select the appropriate client from the list. 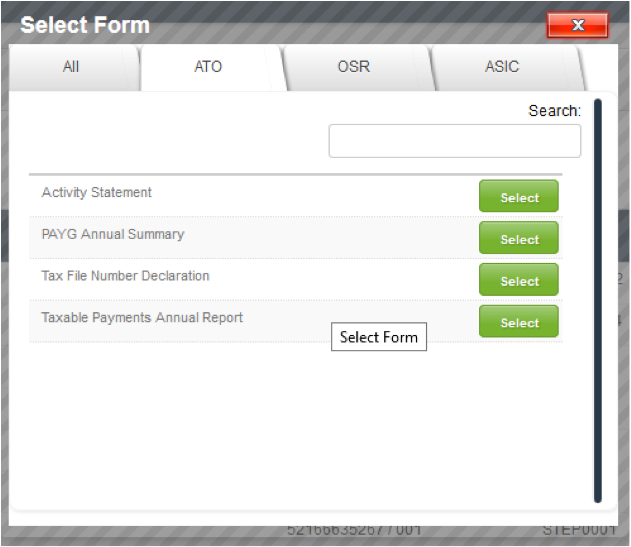 The information will come across from your QuickBooks Online file and populate the appropriate fields in GovReports. 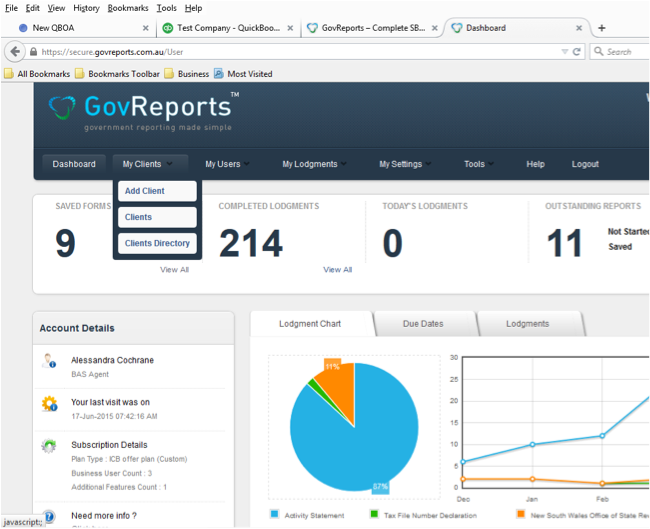 Complete the GovReports process by following the prompts on the above screen. You can verify the figures by checking against the paper copy you printed out from your QuickBooks Online file earlier. You can save this draft copy so that you have the opportunity to review the figures with your client and get their authorisation. Once this is done you simply retrieve the saved draft and complete the lodgement process. 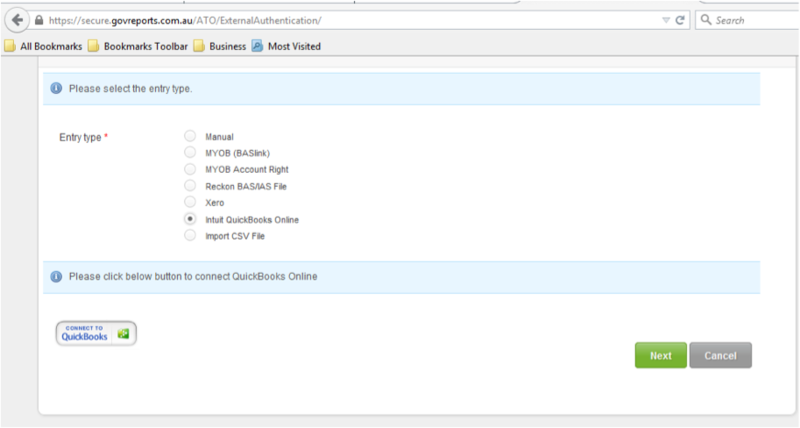 GovReports and QuickBooks Online together is seriously easy.